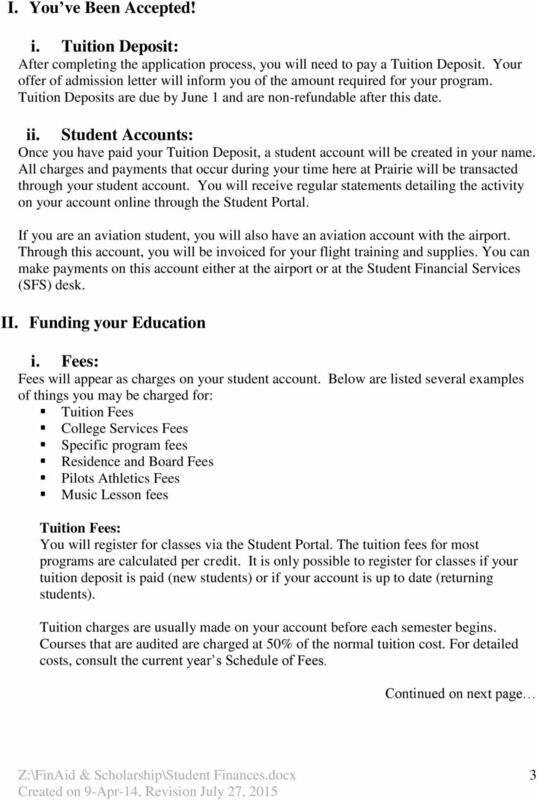 Download "Student Finances. Anytime you have questions about student finances, including determining how to fund your education, please contact:"
The Board of Governors reserves the right to change fees at any time. Registration is not completed until fees are paid. FEES APPLICATION FEE All applications must be submitted with a $50 nonrefundable, non-transferable application fee ($100 for international applicants). Applications without this fee will not be processed. FEES. 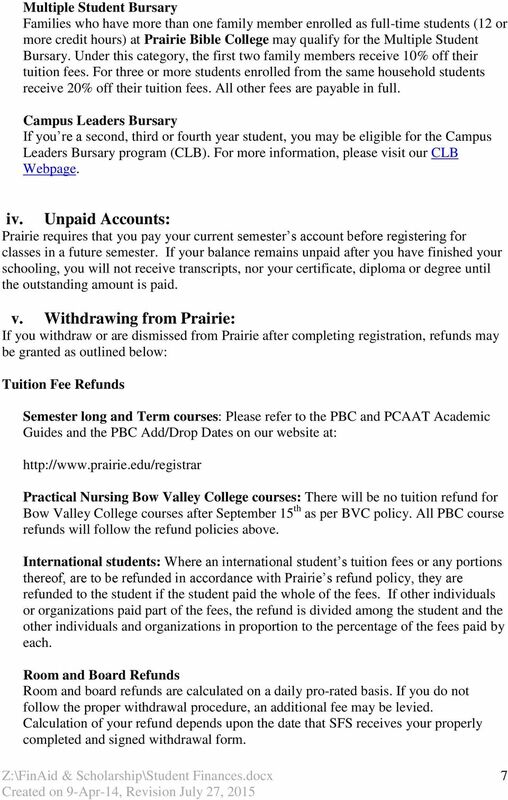 Part-Time Students All fees are due and payable, in full, at registration. A. Academic Fees. Health Plan Fees: Dental Plan Fees: Single: $ Single: $90.24 Family: $ Family: $209. Spring 2016. 23 Invoices for Spring will be available 15 Installment Plan 3 of 5 due by 5 p.m. PROSPECTUS 2014 STUDENT FEES THE UNIVERSITY OF NAMIBIA U N I V E R S I T Y O F N A M I B I A STUDENT FEES PROSPECTUS 2014 This Prospectus has been compiled to reflect all information as accurately as possible. 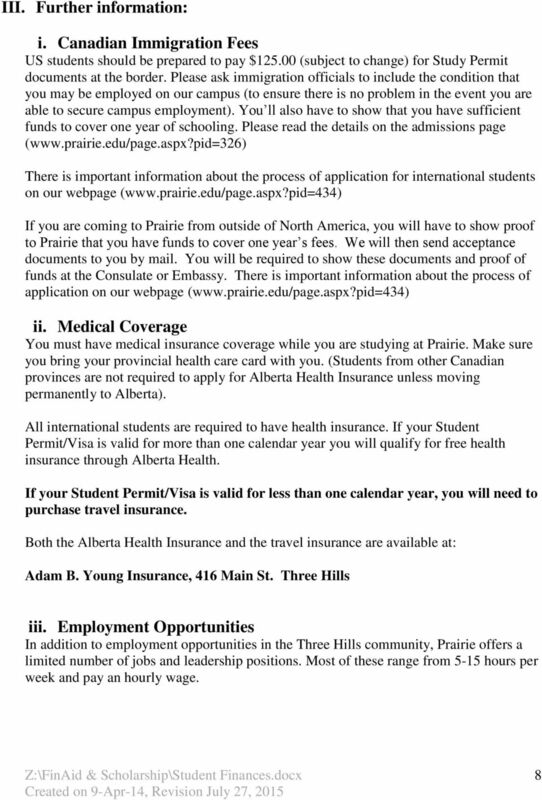 SEVP Frequently Asked Questions Who is classified as an International Student? Any prospective student whose country of residence and citizenship is not the United States and is considered a non-immigrant. 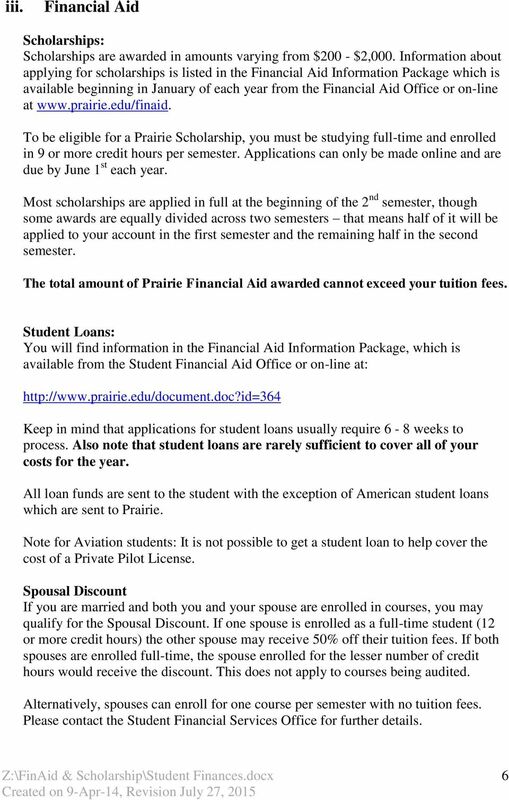 Financial Aid Frequently Asked Questions. Complete the Free Application for Federal Student Aid (FAFSA) at www.fafsa.ed.gov. FINANCIAL SERVICES INFORMATION FINANCIAL POLICY The generosity of individual donors and churches helps students receive quality, professional training at a cost less than that charged by many institutions. Section 13 Credit Control and Debt Management Policy If you require this section in a different format, contact the Student Appeals and Complaints Ombudsman (studentappealsandcomplaints@northumbria.ac.uk). 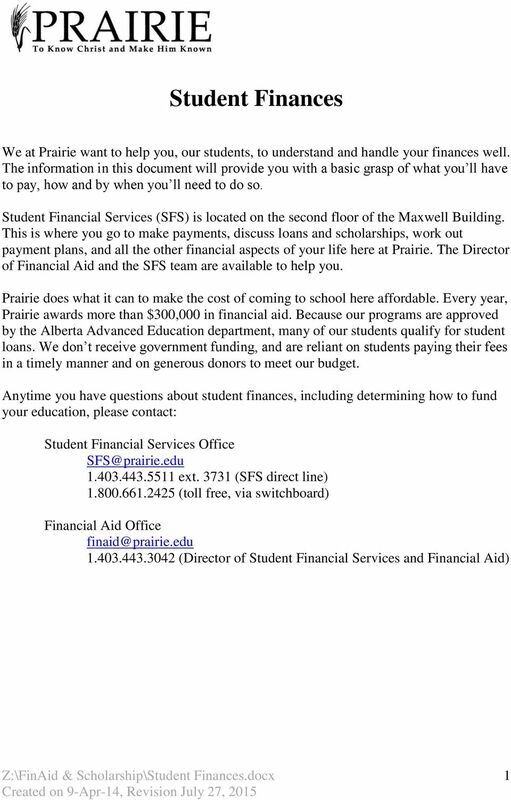 Financial Aid. college. The results of this calculated assessment is what is commonly referred to as the Expected Family Contribution or (EFC). 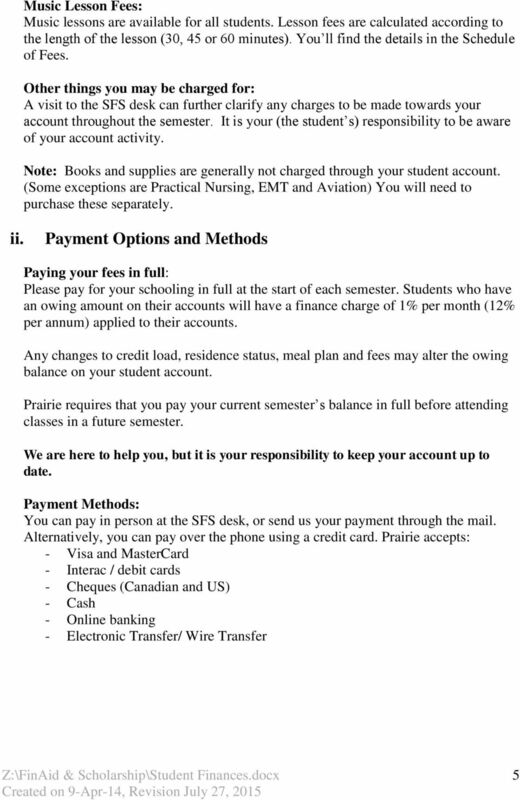 marquette central Your primary source for student enrollment and financial services. Tuition and Fees for Academic Year 2011/2012. Tuition per lecture credit hour. Tuition per lecture hour. Technology Fees per semester. Short-Term Individual Students A statement of account will be sent after the 90-day deadline for application and again every 30 days thereafter. WELCOME TO COASTLINE COMMUNITY COLLEGE! Important Housing and Enrollment Information Please read! 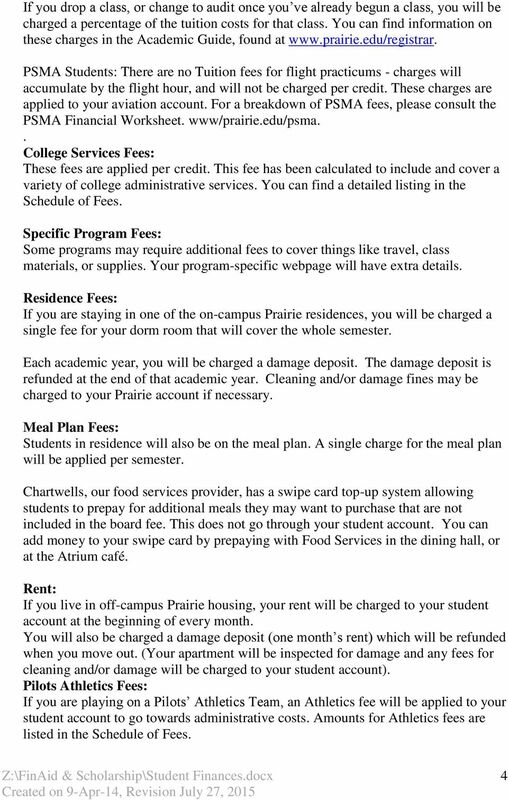 Important Housing and Enrollment Information Please read! Fulton-Montgomery Community College offers housing for students who do not live within a commutable distance (greater than 50 miles from campus).